0	jplist-folder-All-Posts-355 SPIFF-SPIFF	jplist-topic-bonus jplist-topic-managed-security jplist-topic-Money jplist-topic-SD-WAN jplist-topic-SD-WAN jplist-topic-spiff jplist-topic-ucaas	0	01/31/2019 15:31:10	Earn up to 3 X MRR for new Masergy SD-WAN, UCaaS and Managed Security deals between February 1, 2019 and June 30, 2019.Visit http://maser.gy/partner-multip... for more info! 1	jplist-folder-All-Posts-355 Live-Webinar-Live-Webinar	jplist-topic-networking jplist-topic-SD-WAN jplist-topic-training jplist-topic-webinar	03/13/2019 0	01/31/2019 12:15:02	In this webinar, Scott Lewis, Masergy Solutions Engineer, will be discussing how our Hybrid Networking will help grow your Agent or VAR-based business. We will be discussing why Masergy is a fit for your customers and prospects in both the enterprise and mid-market space. Time for a detailed Q & A session will be allotted for any specific questions you may have. Sign up now! 2	jplist-folder-All-Posts-355 Live-Webinar-Live-Webinar	jplist-topic-networking jplist-topic-SD-WAN jplist-topic-training jplist-topic-webinar	02/13/2019 0	01/31/2019 12:14:43	In this webinar, Scott Lewis, Masergy Solutions Engineer, will be discussing how our Hybrid Networking will help grow your Agent or VAR-based business. We will be discussing why Masergy is a fit for your customers and prospects in both the enterprise and mid-market space. Time for a detailed Q & A session will be allotted for any specific questions you may have. Sign up now! 3	jplist-folder-All-Posts-355 Live-Webinar-Live-Webinar	jplist-topic-Cybersecurity jplist-topic-MDR jplist-topic-security jplist-topic-training jplist-topic-webinar	03/06/2019 0	01/31/2019 12:13:27	In this webinar, Trevor Parks, Masergy Security Solutions Architect will be discussing how our Unified Enterprise Security will help grow your Agent or VAR-based business. We will be discussing why Masergy is a fit for your customers and prospects in both the enterprise and mid-market space. Time for a detailed Q & A session will be allotted for any specific questions you may have. Sign up now! 4	jplist-folder-All-Posts-355 Live-Webinar-Live-Webinar	jplist-topic-Cybersecurity jplist-topic-MDR jplist-topic-security jplist-topic-training jplist-topic-webinar	02/06/2019 0	01/31/2019 12:06:46	In this webinar, Trevor Parks, Masergy Security Solutions Architect will be discussing how our Unified Enterprise Security will help grow your Agent or VAR-based business. We will be discussing why Masergy is a fit for your customers and prospects in both the enterprise and mid-market space. Time for a detailed Q & A session will be allotted for any specific questions you may have. Sign up now! 5	jplist-folder-All-Posts-355 Live-Webinar-Live-Webinar	jplist-topic-cloud-communications jplist-topic-Partner-Training jplist-topic-training jplist-topic-ucaas jplist-topic-webinar	03/14/2019 0	01/31/2019 12:06:23	In this webinar, Brendan Strain, Cloud Communications Manager, will discuss how our Unified Communications as a Service (UCaaS) will help grow your Agent or VAR-based business. We will be discussing why Masergy is a fit for your customers and prospects in both the enterprise and mid-market space. Time for a detailed Q & A session will be allotted for any specific questions you may have. Sign up now! 6	jplist-folder-All-Posts-355 Live-Webinar-Live-Webinar	jplist-topic-cloud-communications jplist-topic-Partner-Training jplist-topic-training jplist-topic-ucaas jplist-topic-webinar	02/21/2019 0	01/31/2019 12:05:51	In this webinar, Brendan Strain, Cloud Communications Manager, will discuss how our Unified Communications as a Service (UCaaS) will help grow your Agent or VAR-based business. We will be discussing why Masergy is a fit for your customers and prospects in both the enterprise and mid-market space. Time for a detailed Q & A session will be allotted for any specific questions you may have. Sign up now! 8	jplist-folder-All-Posts-355 jplist-folder-All-Posts-355 Live-Webinar-Live-Webinar	jplist-topic-Cybersecurity jplist-topic-security jplist-topic-webinar	06/13/2018 0	05/21/2018 15:39:57	When firewalls materialized to protect networks in the 1990s, outsourcing cybersecurity to a service provider just wasn’t necessary. Today, defending your network from sophisticated cyber attackers requires a laundry list of third-party services, and on-premises and cloud technologies all of which must correlate data. With so many requirements, regulations, and compliance needs to consider, it’s easy for companies to become overwhelmed by their growing cybersecurity budget. In this webinar, featured speaker, Jeff Pollard, principal analyst at Forrester Research and Craig D’Abreo, VP of Security at Masergy, will discuss the tips you need to know and the traps you need to avoid as you begin to evaluate Managed Security Service Providers and the world of outsourced security.Invite your prospects and attend this webinar to learn: How to evaluate an MSSP and which tips to know and traps to avoid while evaluating Managed Detection and Response services.How partnering with an MSSP provides a lower TCO than building a team yourself.How to optimize the three key components (people, process, and technology) of your security strategy.THE SPEAKERS JEFF POLLARDPRINCIPAL ANALYST FOR SECURITY & RISK PROFESSIONALS, FORRESTERAs Forrester Principal Analyst for Security & Risk Professionals, Jeff Pollard guides all research initiatives related to managed security services, security outsourcing and security economics. CRAIG D'ABREOVICE PRESIDENT OF SECURITY, MASERGYAs Masergy Vice President of Security, Craig has over a decade of experience as a security professional. Craig oversees the Managed Security, Threat Intelligence and Security Professional Services departments at Masergy. He is responsible for Masergy's proactive enterprise cybersecurity threat management and operations program. 11	jplist-folder-All-Posts-355 jplist-folder-All-Posts-355 Case-Study-Case-Study	jplist-topic-SD-WAN	0	04/10/2018 15:55:50	When the CIO of Ingenico was tasked with supporting a growth plan that would double the size of the company, he was challenged by a rigid network, multiple providers, and increasing bandwidth demands. With Masergy’s Managed SD-WAN he established a uniquely customized network that decreased costs by 40 percent and increased bandwidth by 30 percent. 18	jplist-folder-All-Posts-355 jplist-folder-eBooks-33685 jplist-folder-All-Posts-355 eBook-eBook	jplist-topic-cloud jplist-topic-contact-center jplist-topic-Masergy	0	11/07/2017 12:12:17	Masergy Cloud Contact Center enables unified omni-channel (i.e. over voice, instant messaging, email, SMS and social media) interactions with your customers. Route all customer interactions to one or more teams, sites, or outsource partners with a single, global queue in the cloud to maximize your customers’ satisfaction. 19	jplist-folder-All-Posts-355 jplist-folder-Press-Releases-41555 jplist-folder-All-Posts-355 Press-Release-Press-Release	jplist-topic-Detection-And-Response jplist-topic-managed-security jplist-topic-Network-Visibility	0	09/27/2017 15:51:14	Masergy launched its new Network Visibility Tool. Bundled with the Masergy Managed Detection and Response service, the new tool leverages Netflow data, Active Directory, geolocation, syslog, BGP and other metadata to gain deep network insight for the purpose of identifying and investigating malicious activity across the entire IT infrastructure. “The ability to execute critical capabilities such as threat hunting, investigation and incident response requires complete network visibility,” said Amy DeCarlo, Principal Analyst, Security and Data Center Services from GlobalData. “Masergy is well positioned in the Managed Detection and Response space by integrating network visibility as part of its core service offering.” Deployed with the company’s Unified Enterprise Security (UES) platform, the Masergy Network Visibility Tool can be configured to alert the security team to suspicious activity, such as unusual connections hitting critical information assets. The launch also includes a new Session Monitoring Tool widget for dashboard tracking of high-risk network sessions and latest security alerts, incidents and tickets. “The Network Visibility Tool enables simple, but powerful security uses cases. For example, Masergy’s Security Operations Center can now do retrospective threat intelligence matching on network metadata, thereby reducing the time-sensitive nature of threat intelligence feeds,” said Craig D’Abreo, Vice President of Security Operations at Masergy. “Most importantly, the Network Visibility tool provides a complete network record so the security analyst can quickly identify, validate or investigate the extent of security incidents to understand their nature and promptly execute an effective response.” Additionally the Masergy Network Visibility Tool allows customers to: Support Threat Hunting and other investigations on infected systems.Deploy rules for identifying malicious connections to critical assets.Execute Threat Intelligence matching on network traffic retrospectively.Identify problems with security controls and firewall rules so they can be fixed. Join Masergy for a live webcast on October 11th at 10am CDT, to learn more about key use cases for the Network Visibility Tool. Please register at maser.gy/network-visibility-webinar. 25	jplist-folder-All-Posts-355 White-Paper-White-Paper	jplist-topic-Masergy jplist-topic-SD-WAN jplist-topic-white-paper	0	05/30/2017 12:22:25	SD-WAN is a compelling approach to extend wide area networks to meet new business and application performance requirements. Masergy offers two variants of its managed SD-WAN solution to meet each client's unique price and performance requirements. Both offer rapid deployment, centralized policy management and real-time analytics. 26	jplist-folder-All-Posts-355 jplist-folder-Press-Releases-41555 jplist-folder-All-Posts-355 Press-Release-Press-Release	jplist-topic-Gartner jplist-topic-Magic-Quadrant jplist-topic-Masergy jplist-topic-network jplist-topic-Visionary	0	02/17/2017 16:33:20	Masergy Communications Inc. announced that the company has been named the only Visionary in the 2017 Gartner Magic Quadrant for Network Services, Global. The company believes this recognition is due to its innovative Hybrid Networking suite of fully managed services. "We believe our position in the Visionary quadrant is an affirmation of our software-defined approach to delivering global network solutions," said Chris MacFarland, CEO, Masergy. "We are redefining enterprise networking by simplifying the complex through automation to create agile enablement platforms. "Masergy Hybrid Networking seamlessly combines ultra-high performance Intelligent Connectivity, SD-WAN and a complete suite of fully managed network functions. This platform enables custom designs that deliver optimal price/performance for each client’s unique application environment.The company's focused approach of combining innovative solutions with highly skilled staff has delivered the industry's best client experience for five years running as exemplified by Masergy’s 2016 Net Promoter Score (NPS®) of 70.3.Download a complimentary copy of the February 2017 Gartner Magic Quadrant for Network Services, Global report: https://maser.gy/magic-quadrant.Gartner DisclaimerGartner does not endorse any vendor, product or service depicted in its research publications, and does not advise technology users to select only those vendors with the highest ratings or other designation. Gartner research publications consist of the opinions of Gartner's research organization and should not be construed as statements of fact. Gartner disclaims all warranties, expressed or implied, with respect to this research, including any warranties of merchantability or fitness for a particular purpose. 27	jplist-folder-All-Posts-355 jplist-folder-Press-Releases-41555 jplist-folder-All-Posts-355 Press-Release-Press-Release	jplist-topic-cloud jplist-topic-contact-center jplist-topic-Masergy	0	02/07/2017 17:02:55	Dallas – February 7, 2017 – Masergy Communications Inc. today announced the availability of its Cloud Contact Center, which represents the next generation in customer interaction solutions, providing an omni-channel system that helps companies transition to a unified cloud platform to create exceptional customer service experiences. The Cloud Contact Center is a vital asset that lets companies improve customer satisfaction, reduce costs, drive incremental sales and strengthen brand identity. "The move to the cloud, omni-channel communications and predictive analytics are key differentiators in the contact center market," says Cindy Whelan, Principal Analyst, GlobalData. "Masergy's Cloud Contact Center is a next-generation solution that will help companies improve customer interactions and increase customer satisfaction. "The new Cloud Contact Center is an extension of Masergy’s award-winning, Unified Communication as a Service (UCaaS) solution, and dynamically determines how best to route each customer interaction based on predictive analytics. Unlike a traditional call center that offers one-at-a-time, voice only inbound queuing, the omni-channel contact center allows agents to view and respond to customers via web chat, SMS, email and Twitter feeds from one convenient screen.Click here to read the rest of our press release. 28	jplist-folder-All-Posts-355 Video-Video	jplist-topic-Hybrid-Networking jplist-topic-Masergy	0	10/25/2016 15:27:33	Tim Naramore, CTO of Masergy outlines how Masergy's Hybrid Networking solution stack with multiple connectivity options, unlimited virtualized environments and fully-managed network functions provide the agile foundation needed for today's global enterprises. 29	jplist-folder-All-Posts-355 White-Paper-White-Paper	jplist-topic-SD-WAN jplist-topic-Sdwan jplist-topic-white-paper	0	10/25/2016 15:24:22	A New Layer of Sophistication ...Managed SD-WAN is a powerful addition to any hybrid network. Whether you need to enhance application performance and security or intelligently leverage multiple WAN connections for price-performance optimization, Managed SD-WAN delivers the incremental layer of networking capabilities required.... With No Vendor Lock InMasergy's Managed SD-WAN is a fully managed service. We handle all design, deployment, maintenance, and continuous monitoring so you can leverage the latest innovations while avoiding vendor lock in.Learn more about Masergy's Managed SD-WAN. 30	jplist-folder-All-Posts-355 jplist-folder-Press-Releases-41555 jplist-folder-All-Posts-355 Press-Release-Press-Release	jplist-topic-Hybrid-Networking jplist-topic-networking jplist-topic-Press-Release jplist-topic-Sdwan	0	09/15/2016 17:38:18	Masergy Communications Inc., a leader in global hybrid networking, announced the addition of Managed Software Defined WAN (SD-WAN) to its global hybrid networking portfolio. SD-WAN is a relatively new approach to designing and deploying wide area networks to meet business and application performance requirements.Mainstream enterprise adoption of public cloud services and SaaS applications are driving the demand for agile hybrid networks that can intelligently combine broadband and high performance private networks. Market research firm International Data Corp (IDC) underscores this trend, reporting that “SD-WAN revenues are expected to exceed $6 billion in 2020, with a compounded growth rate of more than 90% between 2015 and 2020.” “Hybrid networking and virtualized managed services, including new SD-WAN services, give businesses many new managed service options to create agile networks,” said Mike Sapien, Principal Analyst at Ovum. "Businesses should seek service providers that deliver an integrated, comprehensive suite of hybrid network solutions to achieve optimal price/performance. Masergy’s Hybrid Networking with Managed SD-WAN is one such solution.”Masergy’s Managed SD-WAN is the latest addition to the Masergy Managed Network f(n)™ family of fully managed network functions. The solution supports premise, cloud and virtualized deployments, and can utilize any combination of broadband and high-performance private WAN connections. General availability is scheduled for Q4 2016.Click here to read the rest of our press release. 31	jplist-folder-All-Posts-355 jplist-folder-Press-Releases-41555 jplist-folder-All-Posts-355 Press-Release-Press-Release	jplist-topic-Global jplist-topic-ucaas	0	08/23/2016 17:43:50	Masergy Communications Inc. today announced the expansion of its Global Office solutions. Responding to growing demand by enterprise organizations seeking a global communication presence with a true local calling experience, Masergy has broadened its Global Office service deployment to now include Mexico and Italy. Global Office is available across six continents.Masergy is the only company to offer a complete suite of Global Office solutions including Global UCaaS and SIP Trunking, that avoids using the public Internet to route regional customer calls. Rather than using a difficult-to-manage call routing scheme, Masergy provides customers with a purpose-built, Global Cloud Communications platform that delivers a low latency, superior calling experience over a single, unified dialing plan. “Not all global calling services are created equal,” said Dean Manzoori, Vice President for Product Management UCaaS, Masergy. “Masergy’s Global Office provides a comprehensive, in-country solution with localized traffic and guaranteed global call quality. We are proud to have created the industry’s most dependable, cloud-based calling, backed by the technology industry’s best customer service and validated by an unprecedented Net Promoter Score of 70.3.”For over a decade, Masergy has been adding new functionally and expanding its integrated IP based communications platform to include hybrid services that enable customers to combine modern UCaaS solutions with their existing PBX systems. For enterprise organizations, Masergy continues to deliver one global network, one support team and one invoice--while leading the market with an innovative calling service:Improved Call Quality (DID connectivity into Masergy’s global network)No Traffic “Hairpinning”Significantly Reduced Latency Zero Percent Packet Loss100 Percent In-Sequence Packet DeliveryGlobal 911 Emergency ServicesFor more information on Masergy’s Cloud Communications, please view our Global Presence information. 32	jplist-folder-All-Posts-355 jplist-folder-Press-Releases-41555 jplist-folder-All-Posts-355 Press-Release-Press-Release	jplist-topic-Encryption jplist-topic-Masergy jplist-topic-Press-Release jplist-topic-wan	0	06/29/2016 16:44:53	Masergy Communications Inc. today announced WAN Encryption, a managed service that protects data end-to-end while in transit for software-defined WAN connectivity between applications and users.WAN Encryption is the latest addition to Masergy’s robust managed network functions, which includes routers, firewalls, session border controllers and WAN optimization delivered on premise, via software and in the cloud. Masergy’s unique managed encryption solution offers customers the choice of either a hardware-based option or a virtualized network function running on the Masergy Intelligent Bridge (MIB).Click here to read the rest of our press release. 33	jplist-folder-All-Posts-355 jplist-folder-eBooks-33685 jplist-folder-All-Posts-355 eBook-eBook	jplist-topic-Checklist jplist-topic-Ebook jplist-topic-Hybrid jplist-topic-Masergy jplist-topic-network	0	06/15/2016 12:17:08	A global wide-area network should guarantee your company a consistently high-quality user experience anywhere in the world. Here are some key issues to explore with prospective service providers. 34	jplist-folder-All-Posts-355 jplist-folder-eBooks-33685 jplist-folder-All-Posts-355 eBook-eBook	jplist-topic-cloud jplist-topic-Masergy jplist-topic-uc	0	06/15/2016 12:15:50	Cloud Communications solutions have emerged as the next generation of enterprise collaboration. They’re made possible—and viable—by the advent of high-speed public networks, enhanced packet-based SIP (session initiation protocol) technology and several next-generation software innovations. 35	jplist-folder-All-Posts-355 jplist-folder-eBooks-33685 jplist-folder-All-Posts-355 eBook-eBook	jplist-topic-Cio jplist-topic-cloud jplist-topic-Masergy jplist-topic-uc	0	06/15/2016 12:14:36	Like many enterprise systems, unified communications is moving from expensive and rigid on-premise deployments to hybrid and pure cloud solutions. Enterprises that adopt cloud communications gain the cost advantages of an OPEX versus CAPEX model. 36	jplist-folder-All-Posts-355 jplist-folder-eBooks-33685 jplist-folder-All-Posts-355 eBook-eBook	jplist-topic-Masergy jplist-topic-security	0	06/15/2016 12:13:30	Preventive action is better than fixing the problem once it's been discovered and exploited. Learn what you need to do. 37	jplist-folder-All-Posts-355 Video-Video	jplist-topic-cloud jplist-topic-Masergy jplist-topic-network jplist-topic-security jplist-topic-uc jplist-topic-Video	0	06/15/2016 12:09:42	Masergy's hybrid networking, managed security and cloud communication solutions deliver guaranteed business outcomes with the best end-to-end client experience in the industry. 39	jplist-folder-All-Posts-355 jplist-folder-All-Posts-355 Quick-Post-Quick-Post	jplist-topic-Enterprise-IT jplist-topic-Hybrid-Networking jplist-topic-Video	0	02/24/2016 10:44:35	Watch this video to learn how Masergy Hybrid Networking can help companies become more agile by transforming enterprise IT into a revenue-generating strategic asset. Enterprises challenged by slow, rigid connectivity can immediately benefit from Masergy's flexible Software Defined Platform to get unlimited VLANs with seamless identical services anywhere in the world. Learn how Masergy Hybrid Networking solutions deliver fully-managed connectivity with the best client experience in the industry. 43	jplist-folder-All-Posts-355 Success-Story-Success-Story	jplist-topic-case-study jplist-topic-managed-security jplist-topic-security	0	12/10/2015 12:15:13	Elevate Raises the Bar on Data Security with Masergy. 44	jplist-folder-All-Posts-355 Quick-Post-Quick-Post	jplist-topic-cloud-communications jplist-topic-ucaas jplist-topic-white-paper	0	12/10/2015 12:13:08	Cloud-based Unified Communications (UC) brings together multiple communications services into a single cohesive platform. By combining familiar communication services such as voice, video, chat and presence with newer services such as shared work spaces and videoconferencing — UC weaves together powerful, productive and easy-to-use collaboration tools that your business can use across all of your locations. In addition, employees can choose the communications and collaboration tools that are the most appropriate for them and enjoy a consistent user experience across of their devices. 46	jplist-folder-All-Posts-355 Quick-Post-Quick-Post	jplist-topic-NFV jplist-topic-sdn jplist-topic-white-paper	0	12/10/2015 11:59:46	One goal of this white paper is to provide insight into SDN and NFV: What are they? What's driving them? How are they related to each other? Another goal of this white paper is to describe the value that SDN and NFV bring to the WAN. 47	jplist-folder-All-Posts-355 Quick-Post-Quick-Post	jplist-topic-network jplist-topic-security jplist-topic-white-paper	0	12/10/2015 11:55:14	Masergy's Unified Enterprise Security™ (UES) is the industry's first fully integrated, network behavior analysis and correlation-based security platform. It is the premier threat management system on the market today because it is the only unified offering that combines the unique integration properties of a security architecture with the adaptive and predictive data sharing, tracking and analysis capabilities of a network behavior analysis and correlation engine. 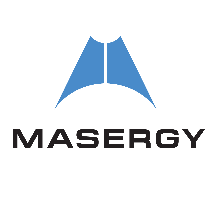 49	jplist-folder-All-Posts-355 jplist-folder-All-Posts-355 Slide-Presentation-Slide-Presentation	0	09/05/2014 07:39:47	Masergy is a global and domestic provider of MPLS and VPLS Services. The attached overview will walk through our 4 main areas:1) Global Network- competing against A&T/Verizon and other Global/Domestic Network Providers.2) Global UCASS (Unified Communications as a Service)- including a Hosted Solution and Global SIP Trunks.3) Managed Security- providing intrusion detection and penetration testing, as well as enabling Cloud Computing that includes Firewall services4) Real time visibility and Control- second to none visibility for Global Network with only true bandwidth on demand, threshold alarms and full reporting. In addition full Visibility into UCASS and Security Service offerings.